Tracking your financial position and progress gives you a great feeling of control and helps you to plan accordingly. We can assist with the preparation of your cash flow statement and balance sheet and help you accumulate sufficient assets to meet all your objectives. Do you really know who prepares your income tax returns? Is it someone who took a brief training course or do you expect your tax software to understand and correctly interpret every nuance of your finances? Maybe it’s time you considered using Absolute Accounting Services – a dedicated professional who really knows the business of taxes and finances all year around, not just January to April. Our firm offers professional preparation of all federal, state, and local tax returns at competitive, affordable rates. 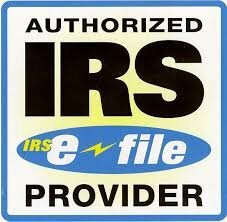 To ensure your tax return is filed in a timely manner, we provide e-Filing services. We will help you develop proactive tax strategies, assist with tax planning, and ensure tax compliance all while working to minimize the tax liability of our clients.